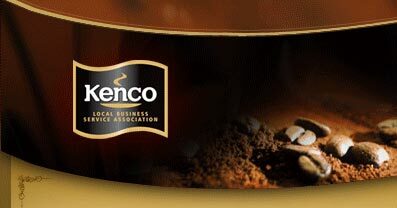 Kenco Local Business Service can offer high quality refurbished Kenco Singles Brewers on either a purchase or rental basis. These machines are a good alternative to a new machine as they offer all of the features of the new system but at a much reduced cost. If you would prefer to rent rather than to buy, then Kenco Local Business Service can offer refurbished equipment on much shorter term deals than new equipment. The typical agreement duration for a new machine is three years whereas the refurbished machines are offered on a twelve month deal. Obviously from a financial and contractual point of view you will see it is beneficial to opt for the refurbished system. However there is still the question of what the new machine offers versus a remanufactured model. 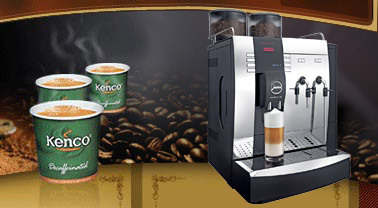 The answer to this question is that both machines provide exactly the same range of drinks and functions. The one tangible advantage of the new brewer is a slightly smaller footprint. Every Kenco Singles Brewer that is taken in for refurbishing is stripped down and cleaned, the hot tank is de-scaled and then the machine is fully tested with the full range of drinks. Any faulty and/or perishable plastic parts are replaced and the case of the machine is re-sprayed (or on occasion replaced for new). In addition to this if the front door is one of the much older styles then this is replaced for a more up to date style. 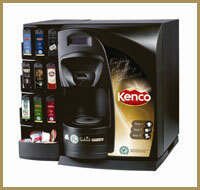 Whether you are opting for new or refurbished we offer the Kenco Singles machine with a capsule stand and a full one year on-site warranty. Please note that many of our competitors offer a "return to base" warranty. This means that in the event of a problem you will have to package up your machine and send it back to them for repair. As we have our own team of technicians we can visit your premises to carry out any repairs, thereby causing as little disruption as possible to you and your business.